This week I was tuning into the latest season of “The Voice” right before the Vice Presidential Debates started. For those of you not up on current, televised singing competitions, “The Voice” is in the vein of “American Idol” – singers compete for the winning title and a record deal. The public votes. It only just occurred to me the parallels between “The Voice” and elections. This is a big election year (some might say HUGE). Two new candidates, no incumbents, and a possible party-change in the United States Senate rest on the outcome of Tuesday, November 8. It’s not just the presidential race to consider. There are down-ballot races too (for state representatives, state senators, judges…) where you vote may matter even more. The first step to voting is to make sure you are registered. If you work with transition-aged young people, you can help them educate themselves and register to vote too. Many states have voter registration deadlines in mid-October. Some as early as this Saturday, October 8 and some as late as early November. 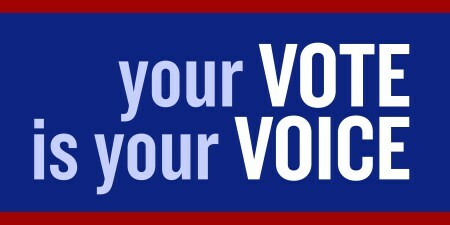 You can check your state laws here: http://www.rockthevote.com/get-informed/elections/important-election-dates-deadlines/by-state.html. Whatever your party, whatever your vote choice, this is an opportunity to use your voice and vote. Comments on "Use Your Voice This Presidential Election"